SAN JUAN, Puerto Rico -- This year's Atlantic hurricane season is shaping up to be one of the weakest in decades with only five named storms formed in the region so far this year. That's the fewest named storms formed during a single full season in the Atlantic since 1983, when there were four. Forecasters have projected another two named Atlantic storms for the rest of the season that ends on Nov. 30. But there are no signs of any new ones spinning off Africa's west coast during what is usually the season's peak period - mid-August to late October. "We've been very fortunate so far," said Dennis Feltgen, a meteorologist with the Miami-based National Hurricane Center. "It was expected to be a less than average season, and so far, that's panning out," Feltgen said, noting the peak period is about to end. "It takes a big slide in November." 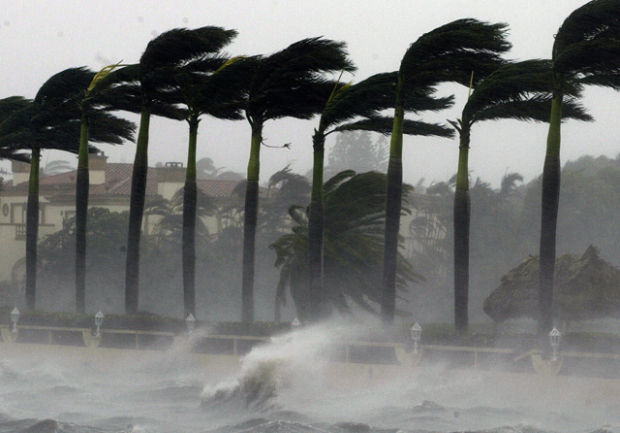 A typical June-November hurricane season has 12 named storms, nine of them hurricanes and three of those major. The National Oceanic and Atmospheric Administration, which runs the U.S. Hurricane Center in Miami, in August revised its projection for this year's season, saying it expected only seven to 12 named storms. It originally had projected eight to 13 named storms, including three to six hurricanes. Of the five named storms so far this year, four grew into hurricanes, one of them major. That one, Hurricane Edouard, barreled through open waters in mid-September, its 115-mph (185-kph) winds generating only strong waves that delighted surfers in the Caribbean and along the U.S. East Coast. A weaker West African monsoon has caused an increase in wind shear and dry, sinking air, which in turn limited storm development this year, said Gerry Bell, lead seasonal hurricane forecaster for the National Oceanic and Atmospheric Administration's Climate Prediction Center. "That combination really, really shuts the season down," he said. Officials with the Caribbean Catastrophe Risk Insurance Facility said no member countries have requested help this year, with no storm or excessive rainfall policies being triggered. While the Atlantic hurricane season has remained quiet, the Eastern Pacific season has roared this year with 17 named storms, eight of them major hurricanes.